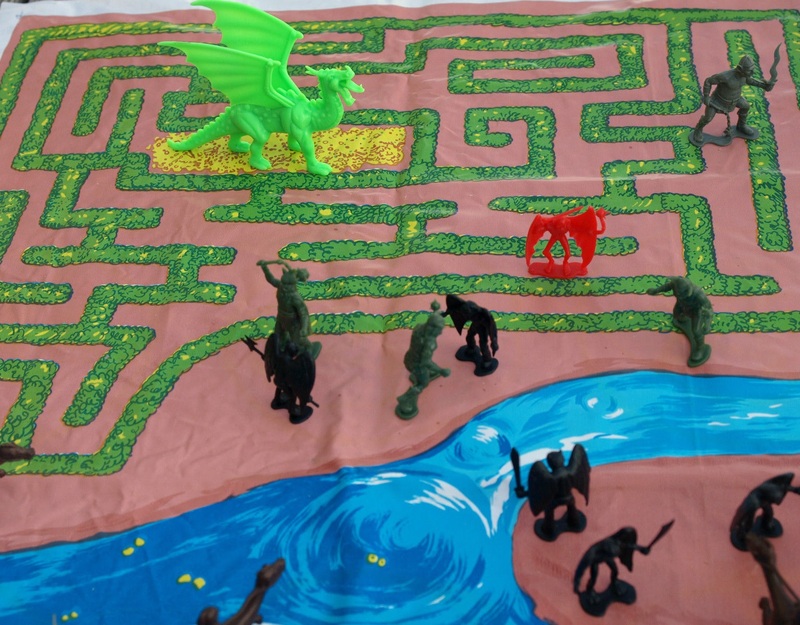 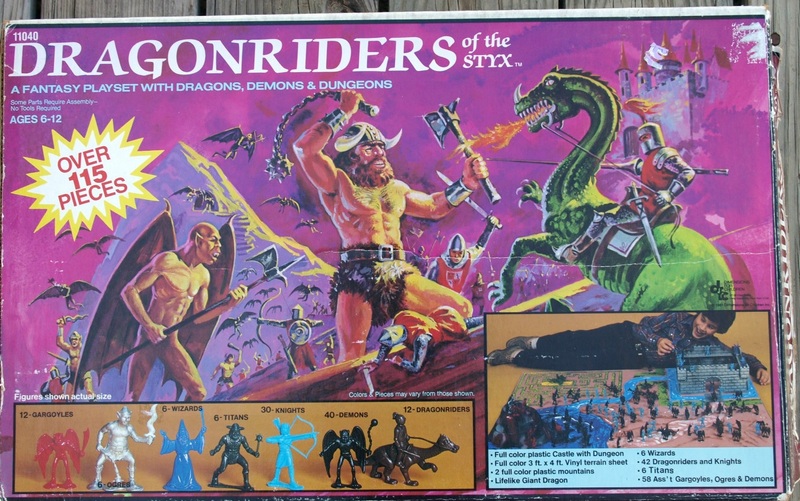 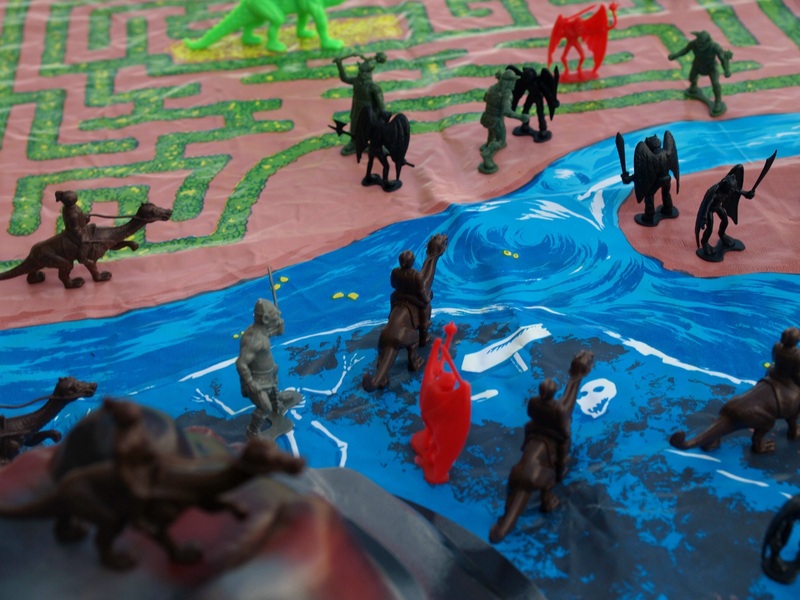 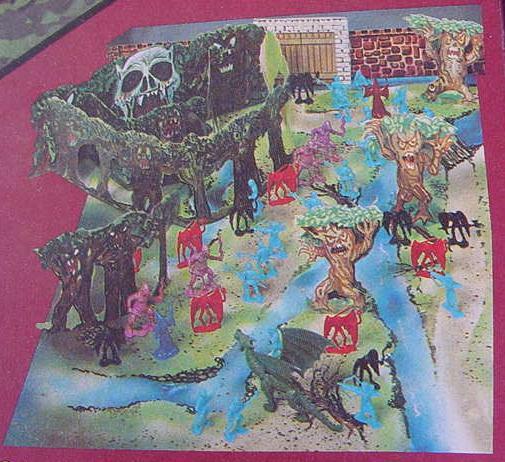 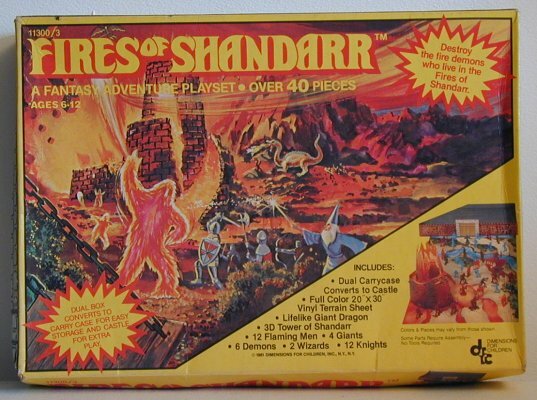 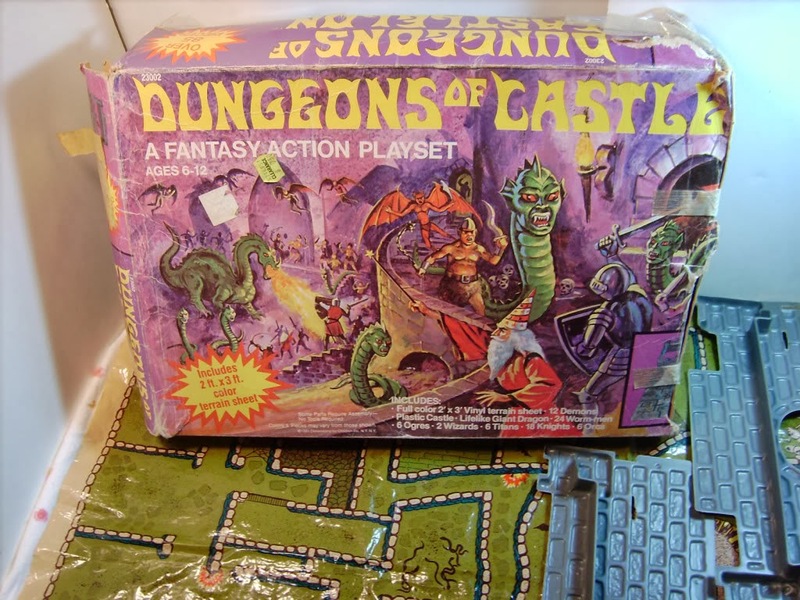 As I wrote in a previous post, I believe that DFC’s Dragonriders of the Styx Fantasy Playset (1981) is the first traditional playset to be released in response to the popularity of D&D. 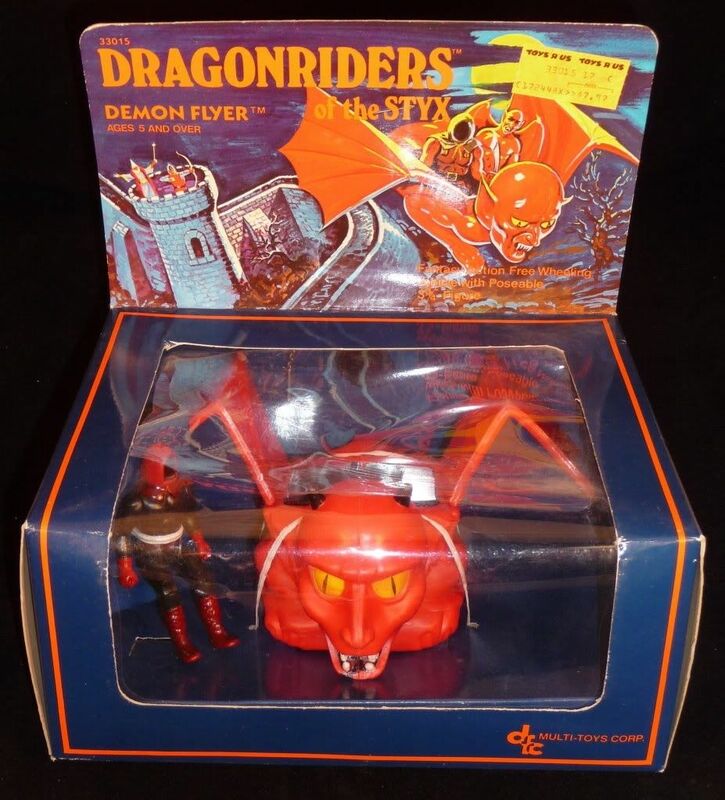 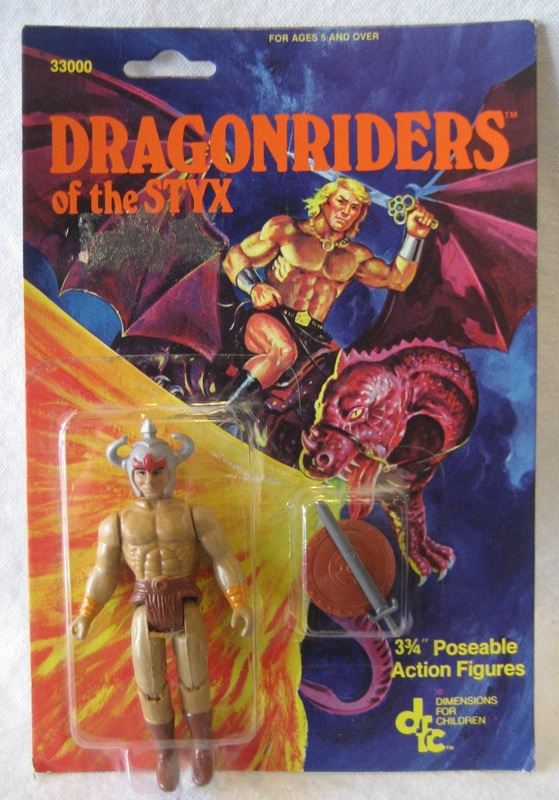 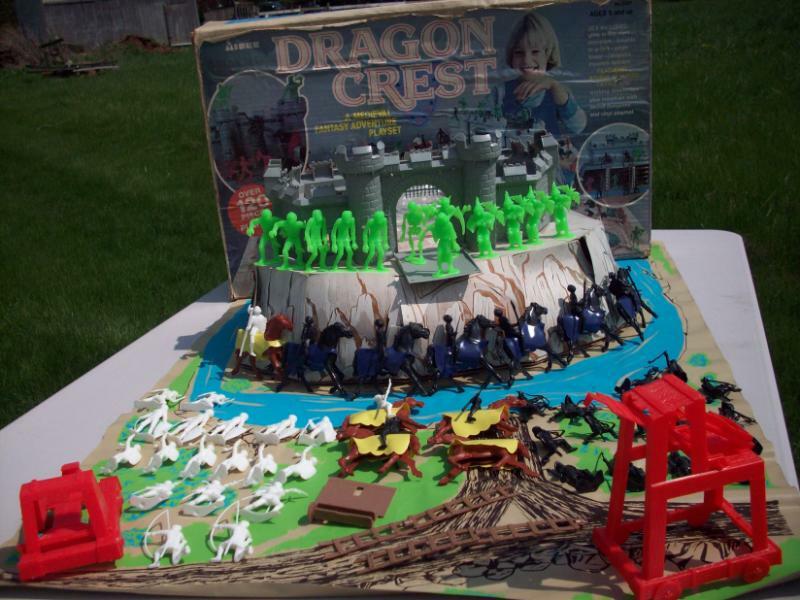 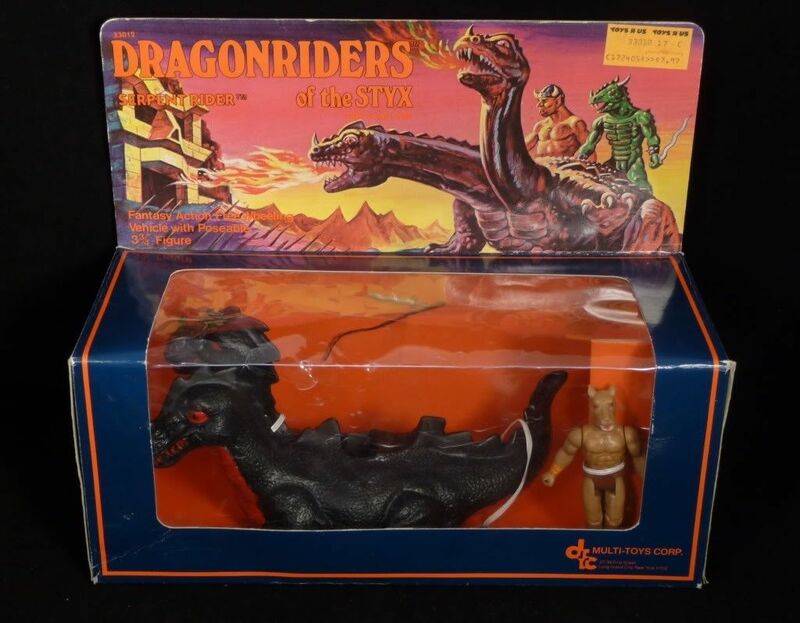 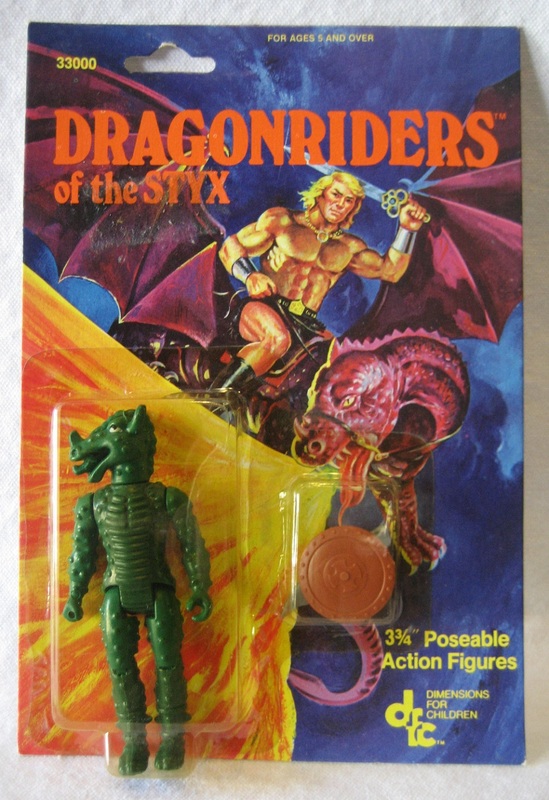 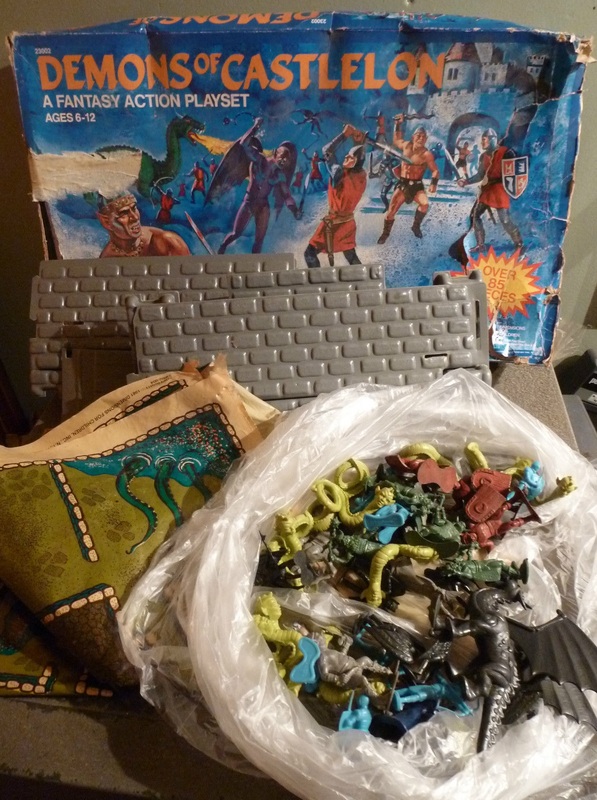 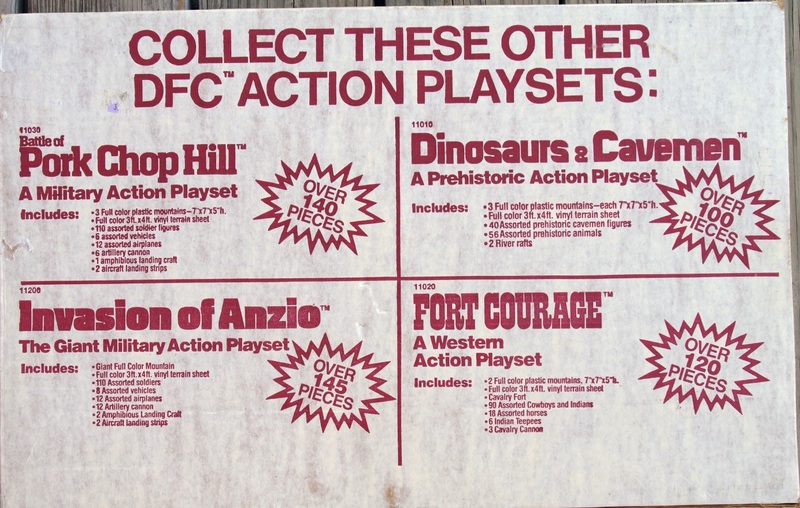 It must have sold decently, because (1) DFC subsequently released a number of playset variations on the fantasy theme, (2) Dragonriders appeared in major department store catalogs, and (3) a line of action figures followed in 1983 bearing the Dragonriders name. 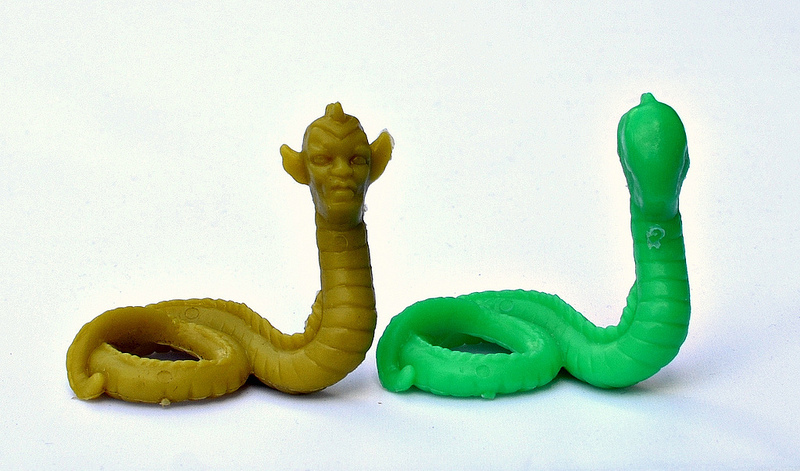 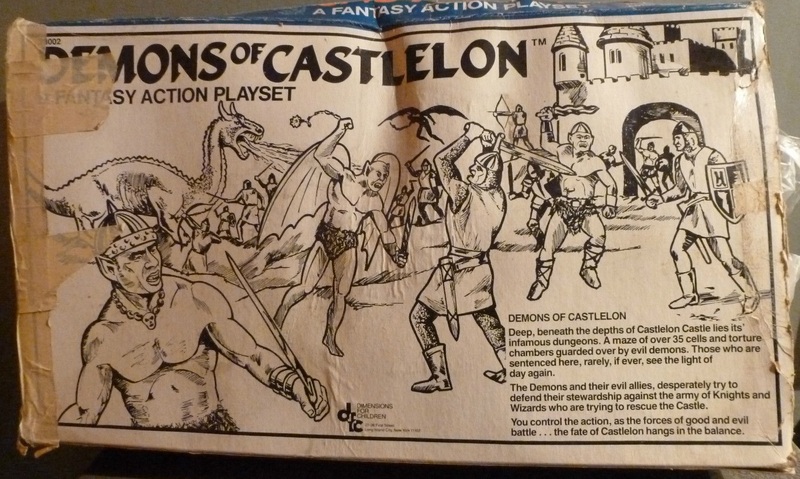 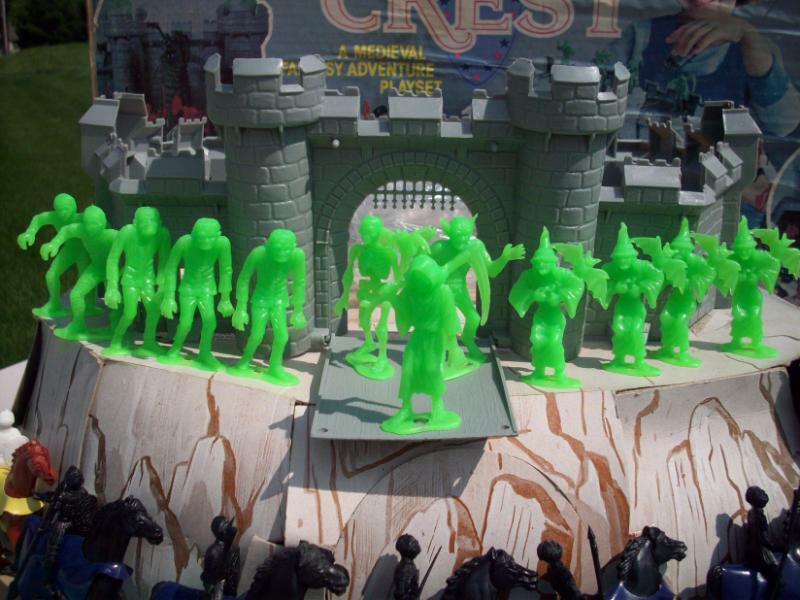 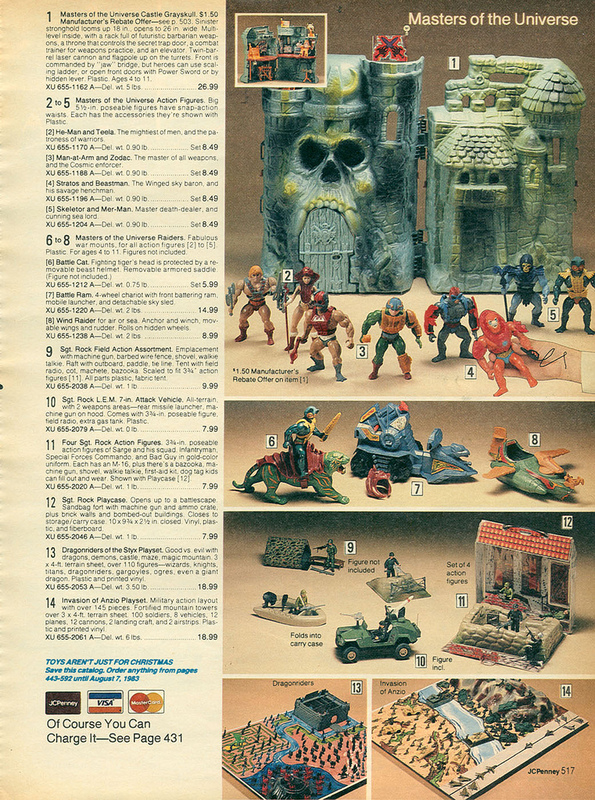 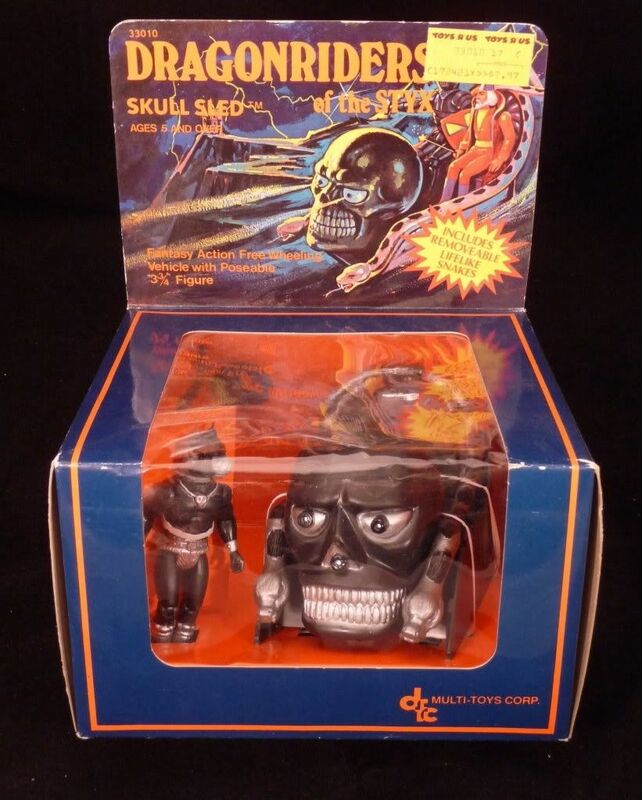 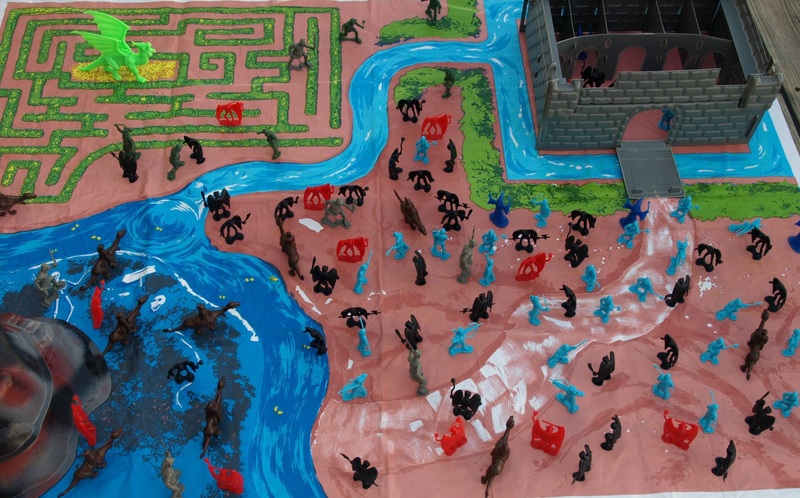 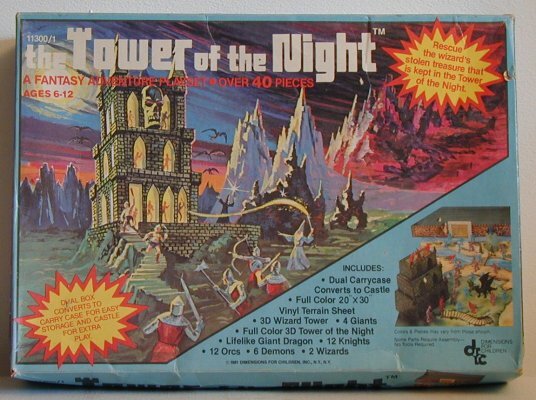 The action figures were released the same year as LJN’s AD&D action figure line. 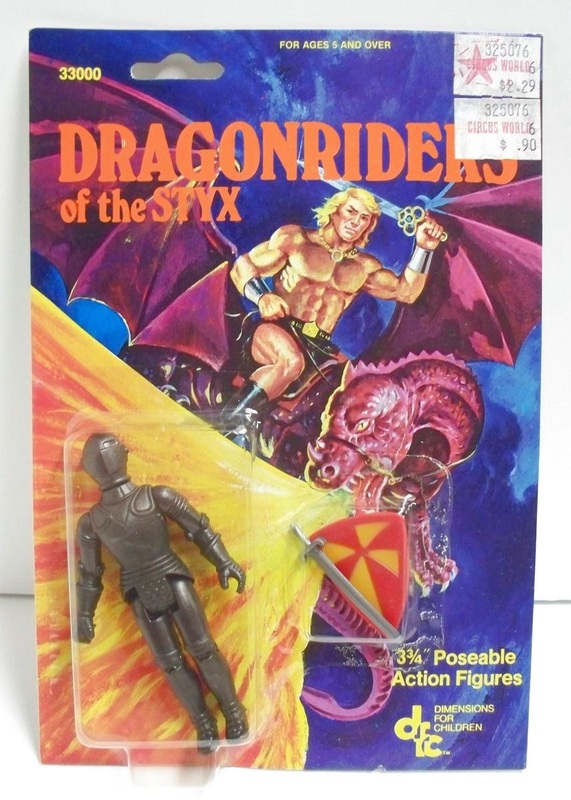 I don’t know which line hit the shelves first. 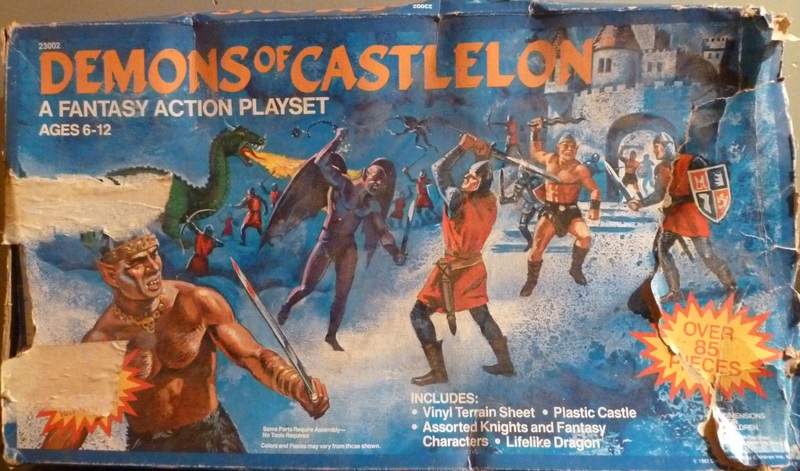 As you can see, the figures are not terribly impressive, though they’re undeniably campy and historical. 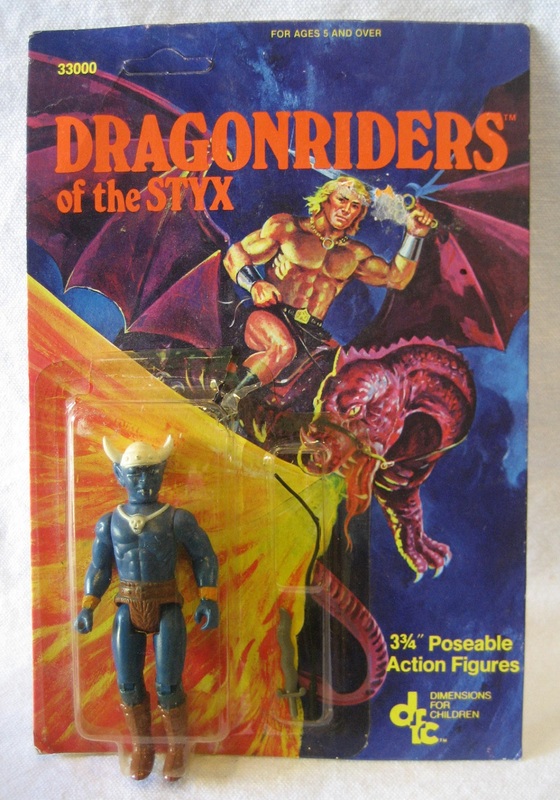 All of the individually sold figures are included above. 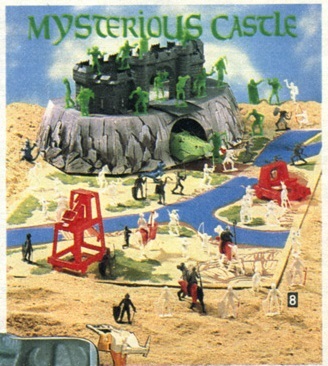 (The Wizard figure also came in a black hat/robe.) 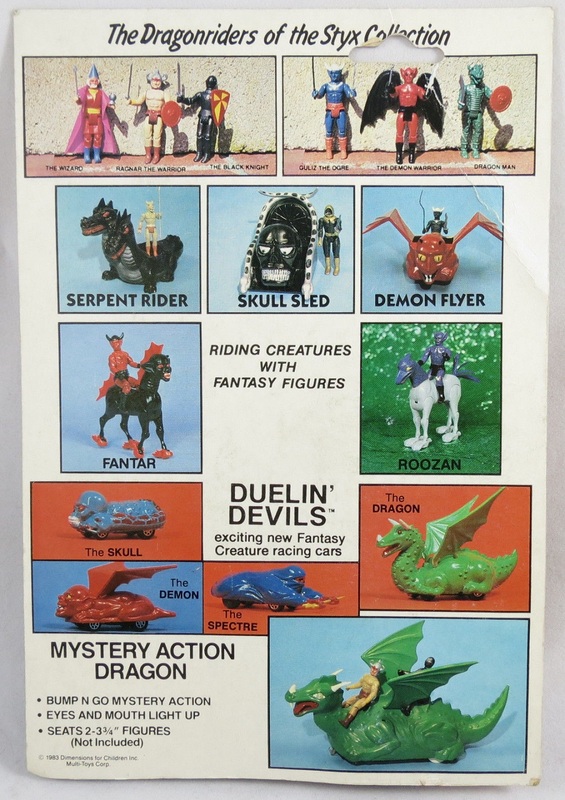 All other figures and vehicles will be posted separately. 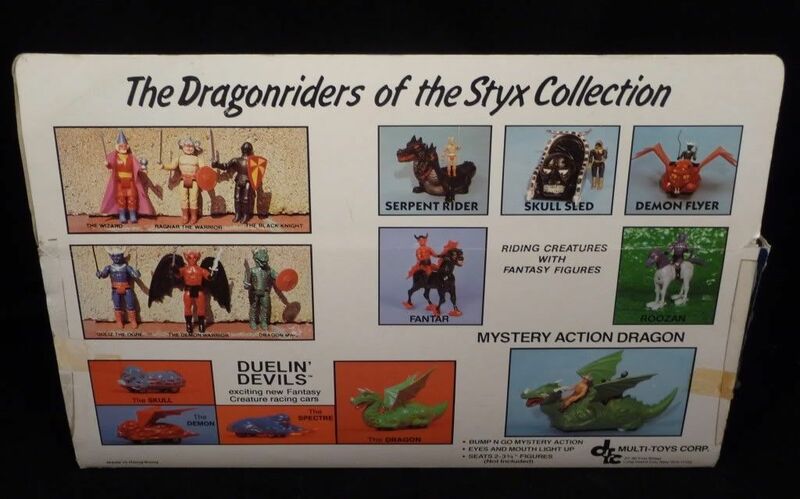 The names of the figures appear on the card back only, which I thought was strange. 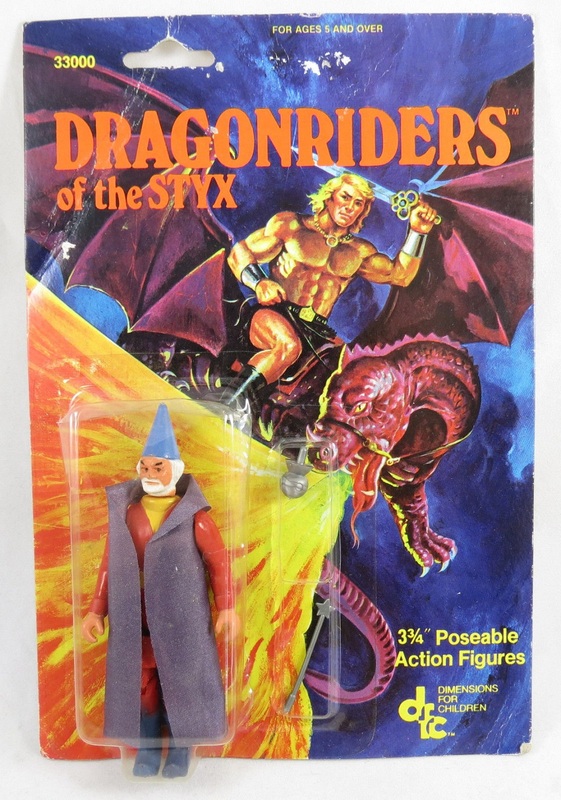 Obviously they were produced hastily (“The Wizard”? 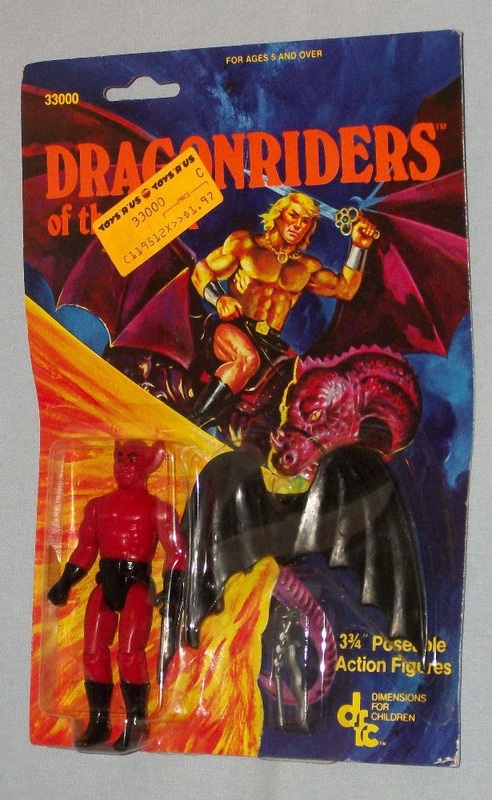 “Dragon Man”? 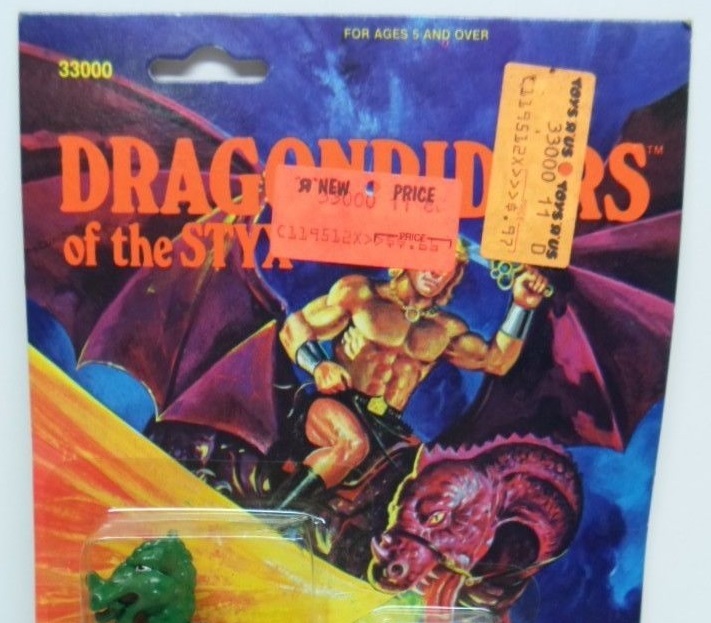 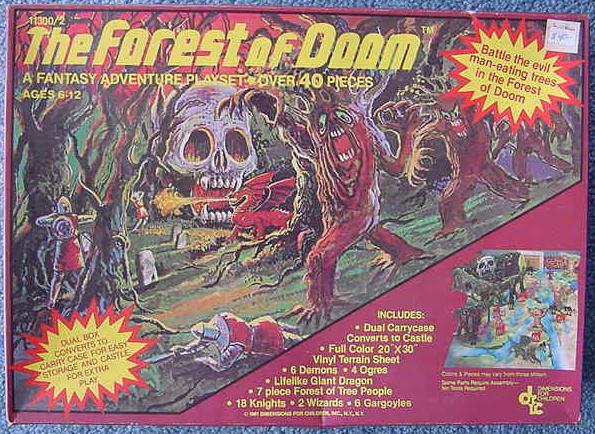 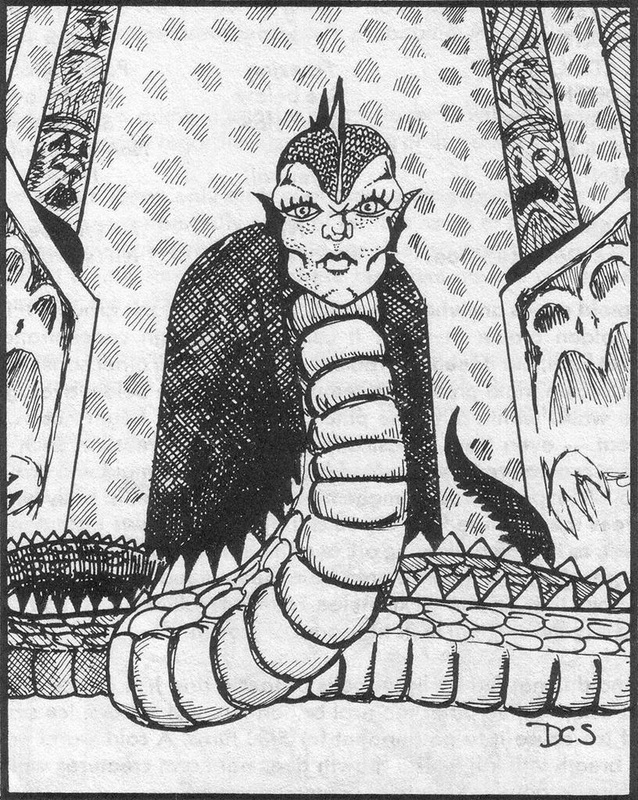 ), probably in an attempt to beat LJN’s AD&D line and capitalize on the debut of the D&D animated series in September of 1983. 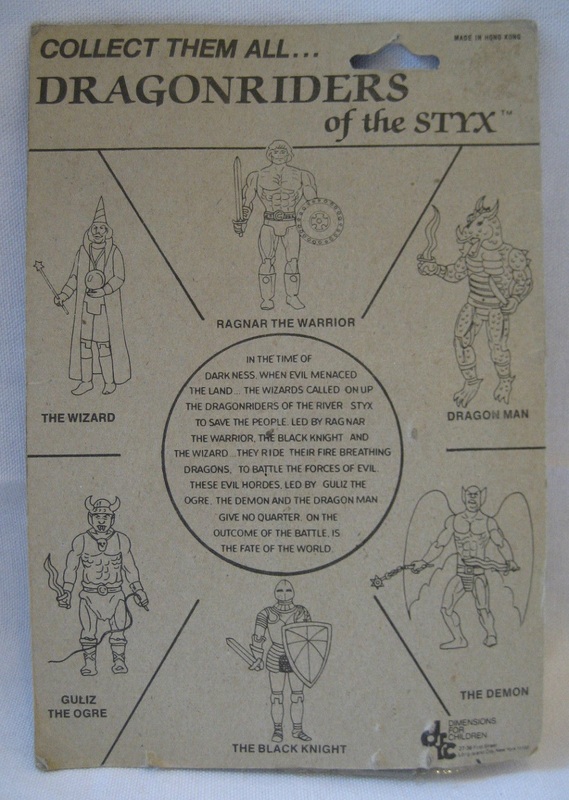 UPDATE: I’m adding a second version of the card back that includes a typical epic fantasy backstory. 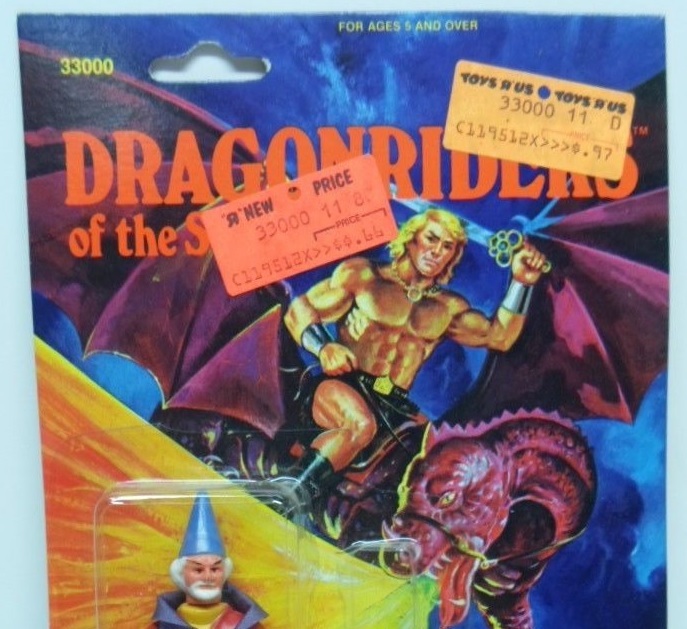 I’m also adding some price tags below.